Since it’s Mother’s Day tomorrow, Randy has given us an easy challenge. Post a favorite photo of our Mom and tell why it’s our favorite. This one was taken around 1940. 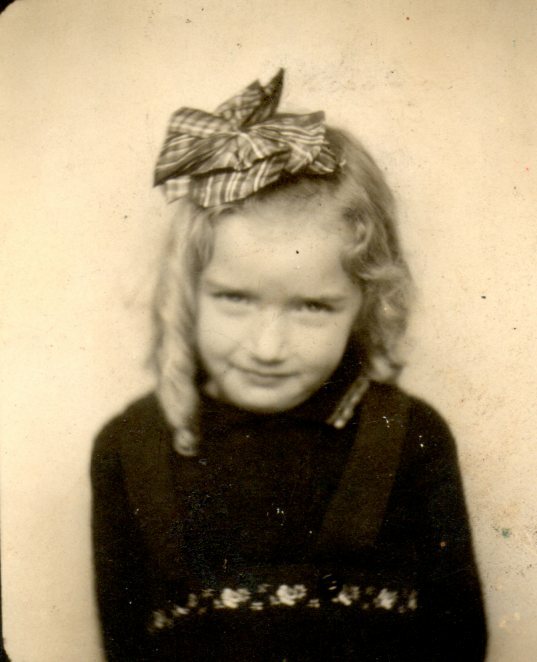 My mom was 4 or 5 years old. I love this photo. It is one of a handful of my mom’s childhood photos that survived the flood in her aunt’s basement. It like it depicts the era so well. She’s got the big bow and a little bit of the Shirley Temple curls. My Mom never has liked having her photo taken. She’s always got that serious, “Do we have to do this?” look even today. From time to time I put together a special album for my mom. I think photographs, especially old ones, make a wonderful gift. They ofter laughter, smiles, and memories.